‘BPMN Processes’ are one of the three diagram types within BPMN 2.0, a renowned business process modeling tool. Mike from Good e-Learning takes a look at the different types of BPMN Processes, their use within BPMN diagrams and their value for modern organizations. Contact Good e-Learning today! BPMN, or ‘Business Process Modeling Notation’, is one of the world’s most popular practices for creating graphical representations of business processes. The simple idea behind business process modeling software and tools is to take complex processes and display them in a way that is both simple and intuitive, allowing less technically minded managers to understand them and make organizational decisions with a clearer sense of perspective. Within BPMN, there are three diagram types: Choreography, Collaboration and Process. ‘Process diagrams’ are the most common, and can be used at any level of a business. They can also be grouped together in order to achieve common goals, or even used to represent the way that businesses interact with customers. In this video, Mike from Good e-Learning takes a look at the different types of BPMN Process diagrams, how they work and what kind of benefits they offer. Good e-Learning is an award-winning provider of online learning courses. As well as free online training resources, we also offer a range of courses in popular frameworks and standards, including TOGAF, Lean, Six Sigma, ITIL and BPMN. 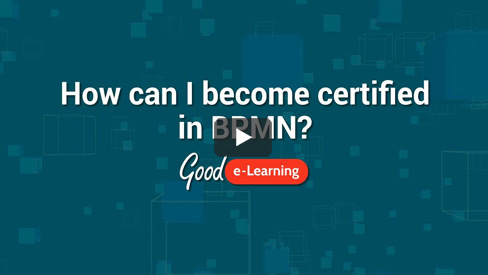 The BPMN 2.0 Foundation & Practitioner (level 1 & 2) course provides students with a comprehensive overview of BPMN, complete with 24/7 tutor support to help them along. In addition to our off-the-shelf business process modeling training courses, we can also create bespoke eLearning solutions built around your own training goals and KPIs. Interested in learning more? Browse our full portfolio of Business & IT courses or visit our FREE downloads area for a wide range of posters, whitepapers, case studies and more from leading industry experts.